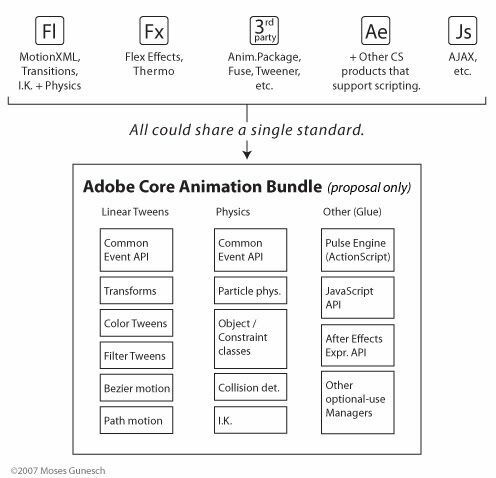 Adobe is announcing plans to open source Flex under the Mozilla Public License (MPL). 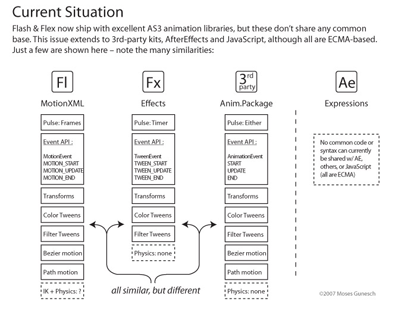 This includes not only the source to the ActionScript components from the Flex SDK, which have been available in source code form with the SDK since Flex 2 was released, but also includes the Java source code for the ActionScript and MXML compilers, the ActionScript debugger and the core ActionScript libraries from the SDK. The Flex SDK includes all of the components needed to create Flex applications that run in any browser – on Mac OS X, Windows, and Linux and on now on the desktop using “Apollo”. The timeline to do so will be by the end of 2007. This is pretty interesting in that it will lead to more applications challenging FlexBuilder but I imagine its largely to get around Open Sourcing Flash altogether. They will never do that. 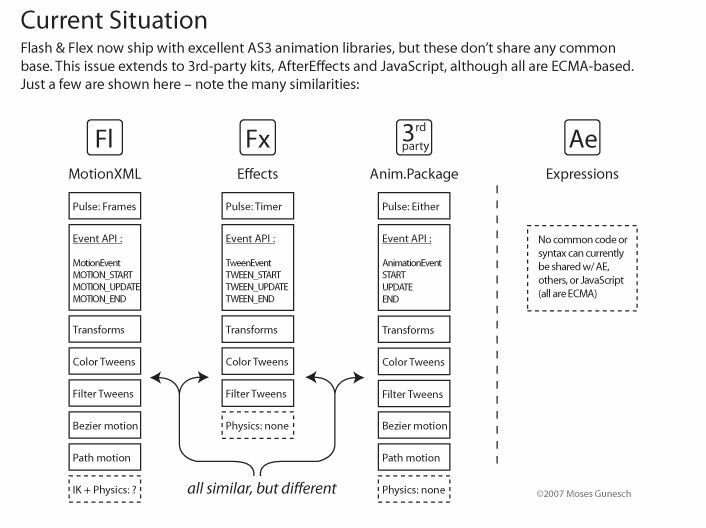 But some think that if Adobe were to do this that it would make flash more accepted as an application bulding tool. However you might see more backing of Flex. I know many Flash developers and designers but not many are raving about Flex just yet. In fact its a bit of a confused strategy. It needs more support and this is a very good tactical move. The reality is Flex is not really a player right now. Flash is the best for interactives, games, learning systems, etc and it completely OWNs online video. Director owns 3d games on the web. And .NET, Java, PHP, Rails, Python etc own the web and enterprise. That is just the state of the industry today. Flex isn’t a top choice right now. Vector based to be more accepted? 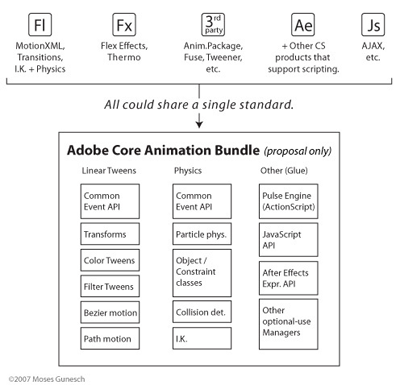 With WPF entering and Flex possibly gaining more ground then vector based desktop apps and websites will be the norm maybe one day, but Adobe and former Macromedia’s sites aren’t even flash or flex. Its more about applications and as the web becomes even more of a platform for that more trusted than even your own hard drive this may change. The thing is people like to read content on textual systems like HTML. Vector based RIAs just do not do text correctly yet. All text should be selectable and able to be searched and copied. Many systems have dual content systems to be indexable but teh text in the flash also needs to be selectable. The closer the usability and readable content in flash comes along maybe this will change. Vector based interfaces are great for visual and advertising mediums but for most content its not there yet. Flex is starting to bring this in with better HTML support but I think that this move to open source was important to save a falling off initiative or one that had a bit of lag due to the switch from Macromedia to Adobe. I am still wondering what happened to Director in that hand off.